The Entrance to the Vashita Cave. This pilgrimage was beyond my comprehension. 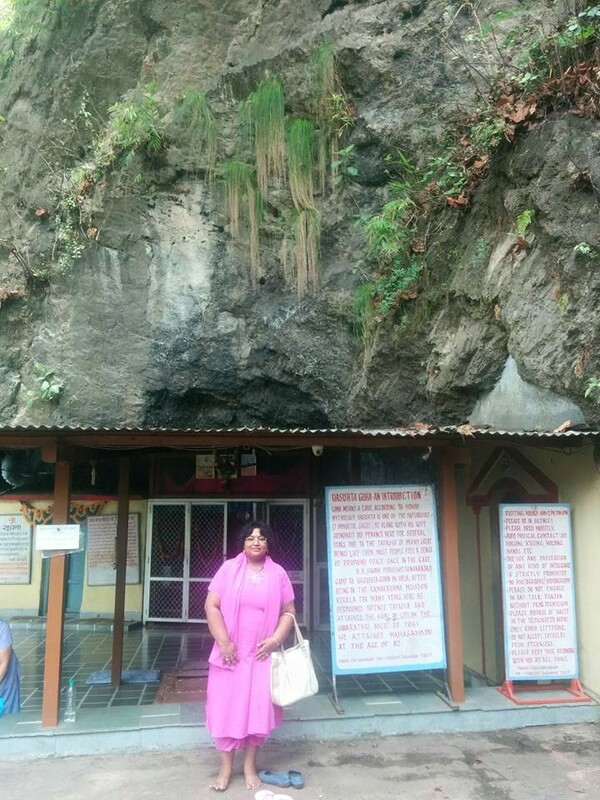 Little did I know that, I along with my husband would get an opportunity to visit the cave of Great Rishi Vashita and his wife Arundhati who did penance for many years. 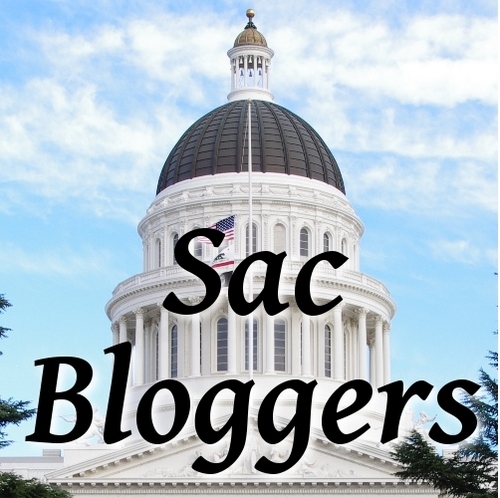 Who is Sage Vashita? 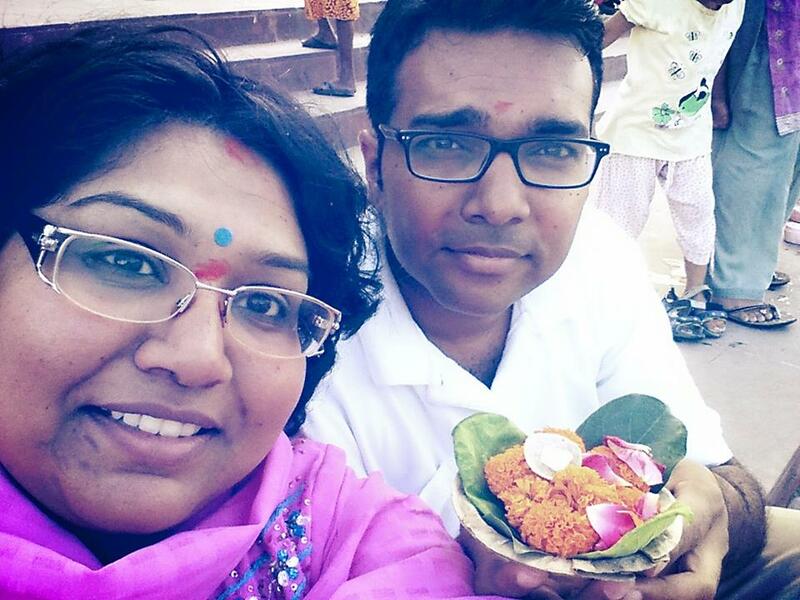 He is one of the Sapta Rishis and Arundati is his wife. 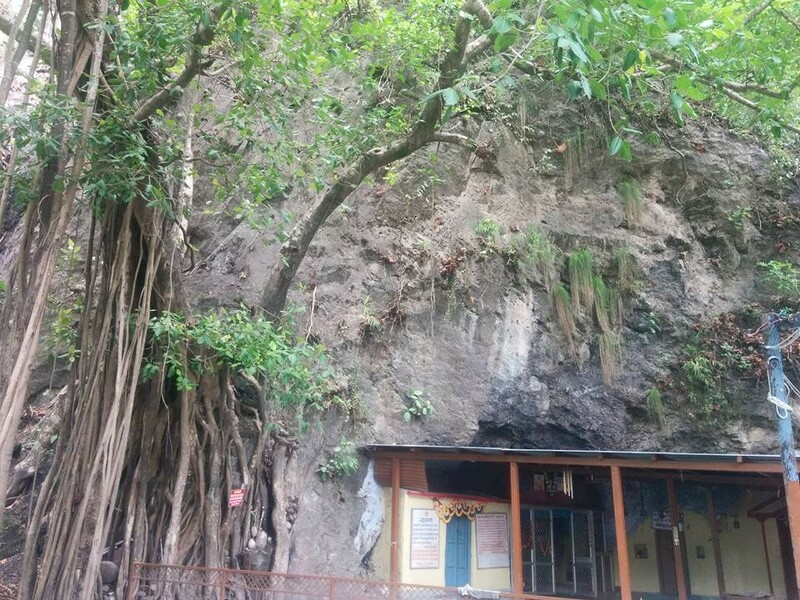 Vashita cave, is located in the foothills of Himalayas, where yogis have meditated for countless years. participated in the Badrinath, (Ati Rudra Maha Yagnam) which is described as the highest form of worship to Lord Shiva for 11 days. This was done for the world peace. 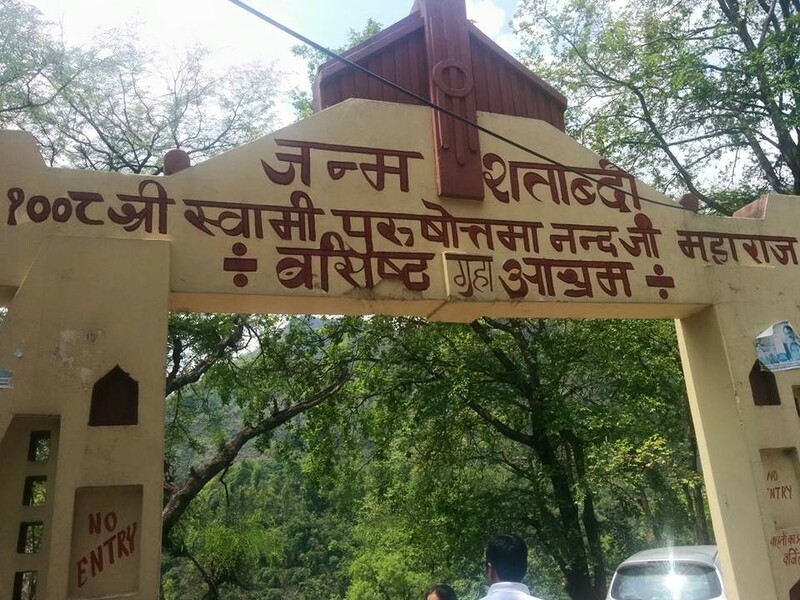 I will write another blog in detail regarding Badrinath pilgrimage and this particular blog will focus on the journey before Badrinath. 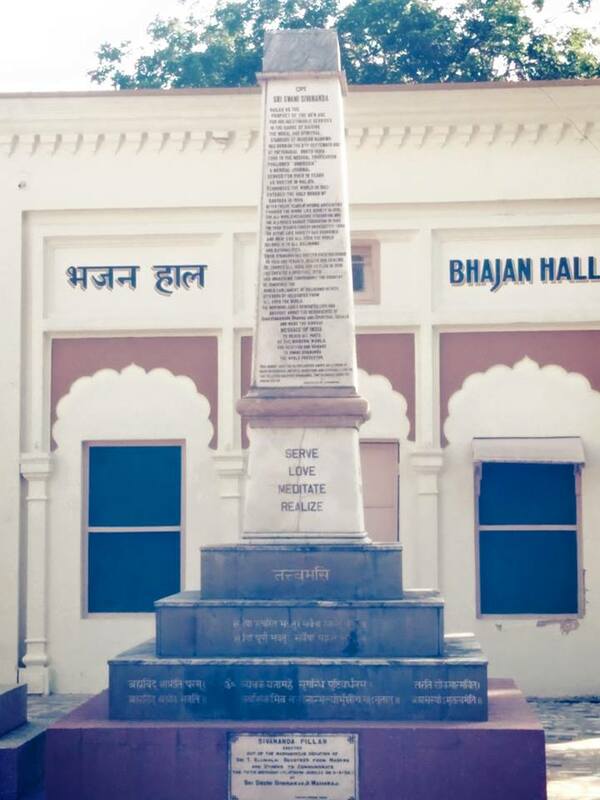 This was our first time visiting Northern side of India. We have visited numerous times to the south. Therefore, I was little scared due to not knowing the language very well, but relied on God to support and help us. We landed in New Delhi the night of June 20th, 2015 and stayed in a nearby hotel near the Airport. 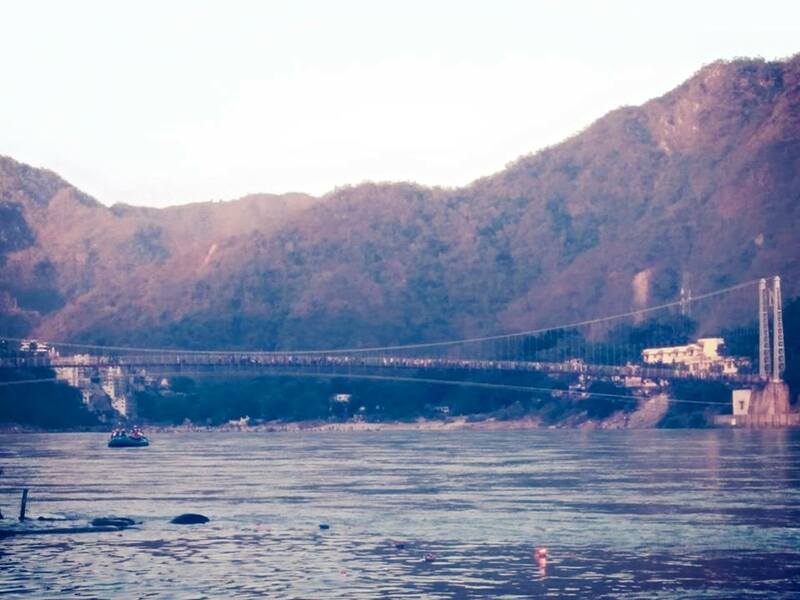 We had to take a flight to Rishikesh because that was where we were to meet our entire group who were heading to Badrinath. 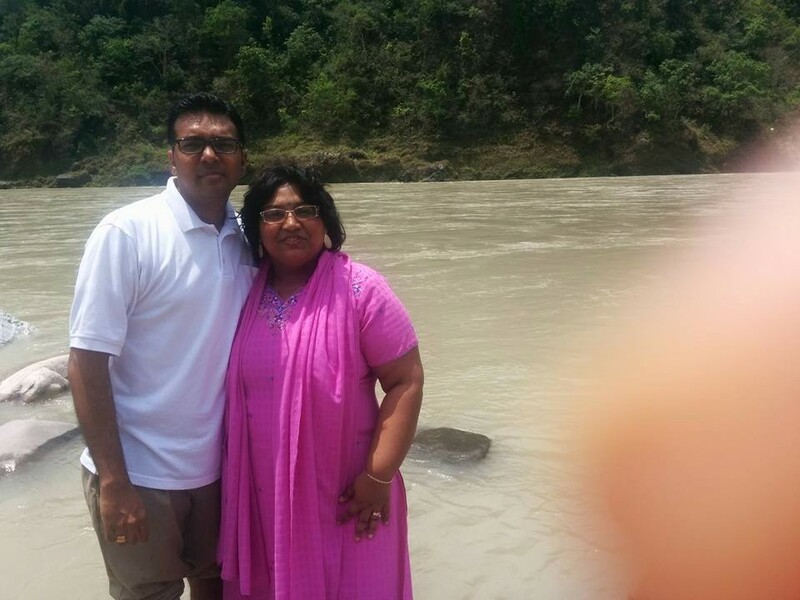 On June 21st, 2015 morning we took a flight to Rishikesh. The energy of the entire city felt like a utopian environment. You can see on the road many yogis clad in orange robes walking and singing the glory of Lord Bola Nath (Shiva). Orange robe. He went around the ashram doing pradikshana (circling the venue). After the pradikshana he came towards all four of us and asked us to sit down. He asked us where we were heading? We said Swamiji we are going towards Badrinath for Ati Rudra Maha Yagnam for world peace. indeed delighted to welcome Baba when he visited Rishikesh. Then, another Swamiji came with Prasad. He was coming from Kedharnath, Swami Chidananda, asked us to open our palm and placed the Prasad in our hands. We all ate the Prasad with great delight. Then he turned towards my husband, because he was the only young man sitting among the ladies and asked, “What is your name?” my husband replied, “Swamiji my name is Niranjen.” Then he laughed and said, “We have a Swami in our ashram named Niranjananda.” Then he said, “Name Niranjen is very pure.” My husband was floating in bliss when he heard that. Then he asked us to visit again and that he will give us books to read from Swami Sivananda and blessed all of us. 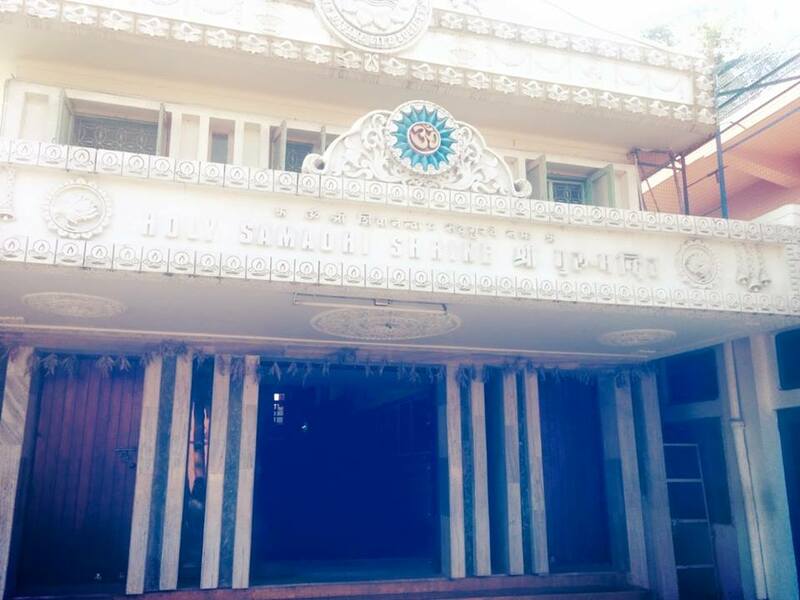 We felt very happy in meeting the Swamiji and walked down the stairs in ecstatic mood. 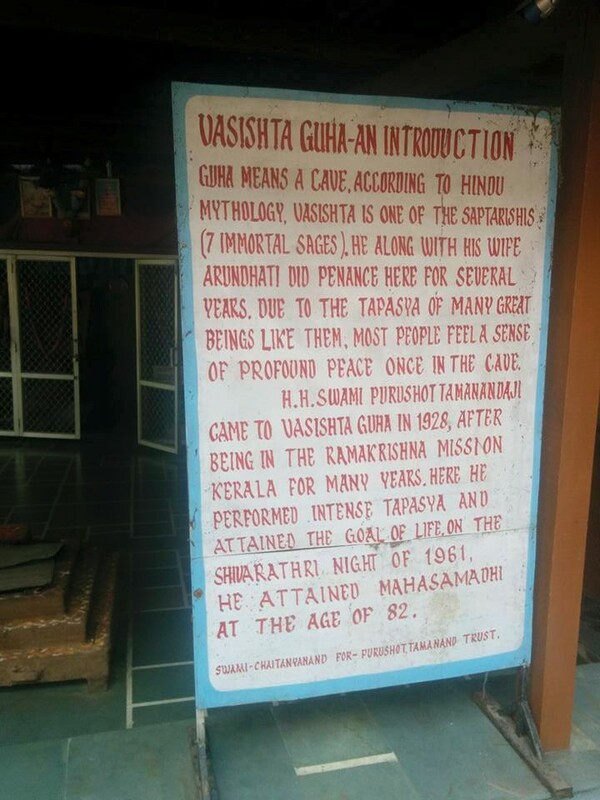 Following day, before meeting our group we wanted to go and visit the Vashita cave. We rented a small taxi and asked the driver to take us to the cave. I was terrified at first because we had to go up the mountain and it was little drizzling and the roads were windy. After we reached the place where we had to go, the driver stopped the vehicle and told us, he cannot drive all the way and that we had to walk downhill towards the cave. We said, alright and started walking. Downhill walk was not a big problem to me, however coming up was the problem, we were quite up in elevation and the oxygen level was not that great. Vashita Cave. We felt very thrilled. He then asked us, where we were going? We told him that we were heading to Badrinath for the Yagnam. 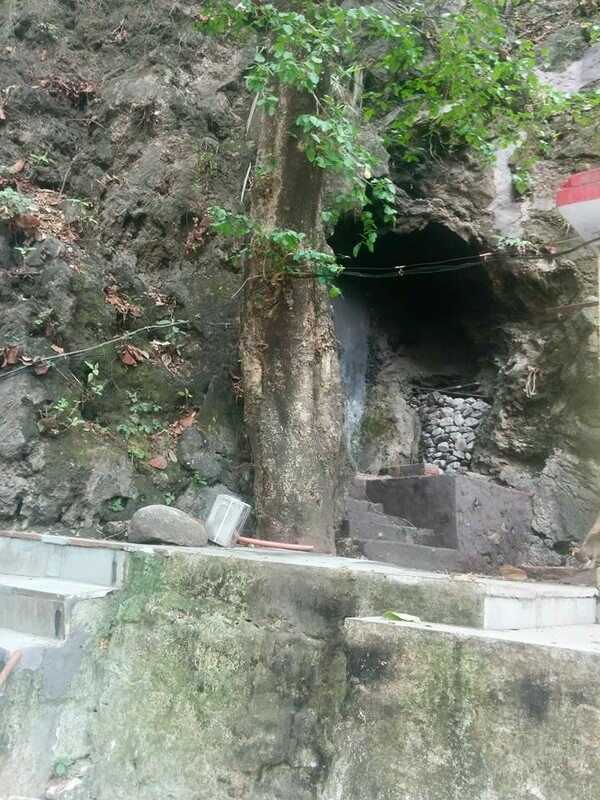 Then he blessed all of us and asked us to go back into the cave and do bhajans before leaving and blessed us. We went inside the cave and sang bhajan. I had tears in my eyes when I sang, “Manasa Bhajare Guru Charanam” the first bhajan sung by Sathya Sai Baba. Truly I felt our dear Lord’s presence. 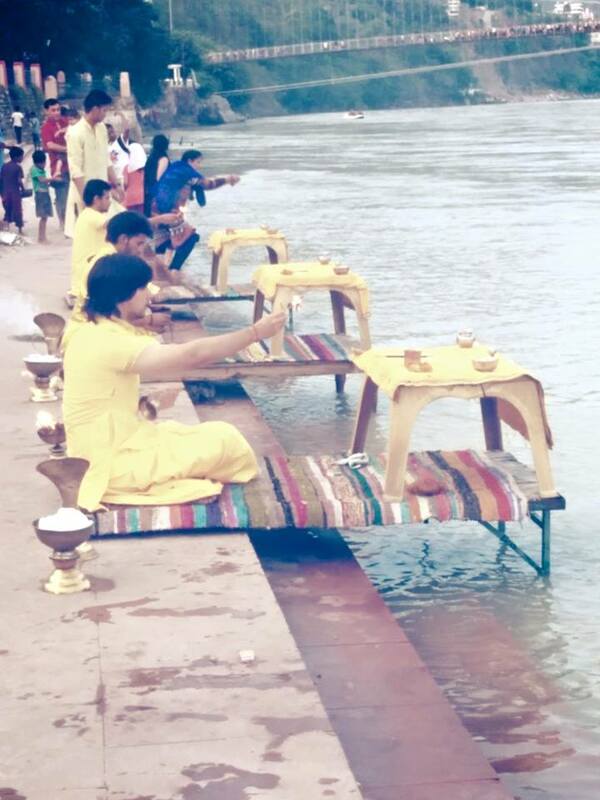 Arati Performed near the Ganges. this life, one must do all work as actors in a play, keeping our identity separate and not attached to our personality or the role designated by the Source. As we look towards the light (Source), shadow of our burden will fall right behind us.